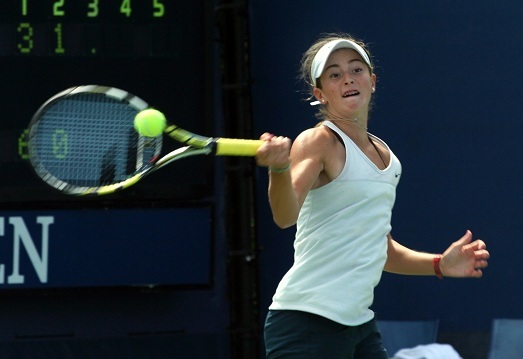 Fifteen-year-old CiCi Bellis overcame a nervous start and came back to defeat fifth-seeded Tornado Alicia Black, 6-3, 6-1, in one-hour and 45 minutes to win the USTA Girls’ 18s National Championship, earning a wild card into the women’s main draw of the US Open. Bellis, the No. 2 ranked junior player in the world, won six straight games to wrap-up the first in 50 minutes. In the second set, Bellis took a 3-0 lead before Black held serve at love to make the score 3-1. In addition to receiving a US Open wild card, Bellis was also award a USTA gold ball following the match. It has been a spectacular summer for Bellis, who compiled a 34-4 record in international junior competition on her way to winning four International Tennis Federation junior singles titles. 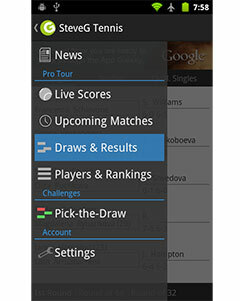 Black received a wild card into the women’s qualifying draw at the US Open. The 16-year-old reached the 2013 US Open Girls’ singles final as an unseeded wild card and was a Wimbledon junior quarterfinalist earlier this year. She is currently ranked 574 in the world and won her second career USTA Pro Circuit title last month. In the Girls’ 18s doubles final, top-seeded Louisa Chirico of Harrison, N.Y., and Katerina Stewart of Coral Gables, Fla., defeated Josie Kuhlman of Ponte Vedra Beach, Fla., and Kaitlyn McCarthy of Cary, N.C., 4-6, 6-4, 6-3 to win the title. Chirico and Stewart received a wild card into the women’s doubles draw at the US Open.